It's time when you need to add shopping cart to your website or need to develop a site with shopping cart to add a new sales funnel for your business. E-commerce is presently the crucial way to reach your potential audience spread widely across the globe. 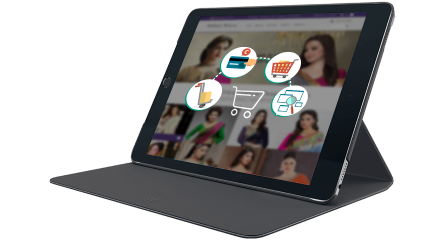 A perfectly built E-commerce website is the key to your successful B2B or B2C business online. It not only offers your visitors a user-friendly shopping experience, but it also allows them to make secured transactions. 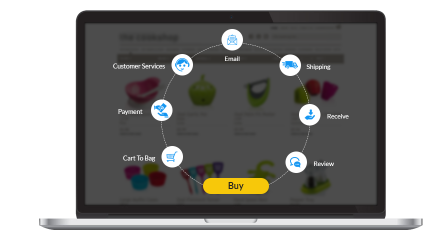 At 4Source we not only deliver customized eCommerce solutions but we make sure to deliver tailored CMS solution to make tracking, inventory management, customer detail analysis easier at the same time. Our eCommerce website designing ensures potential online presence of your business as well as higher conversion rate. We design and develop industry standard eCommerce website following the latest trends. We have well-efficient developers and designers who master with the frameworks and languages including Magento, WooCommerce, OpenCart, PHP, Drupal, Joomla etc. We also integrate your site with secured payment gateways like PayPal, SecurePay, Firstcharge, CCAvenue, CitrusPay, BillDesk etc. At 4Source, we never limit our designing within a sell and buy platform. But we are happily responsible to offer you a flourishing journey over the internet. 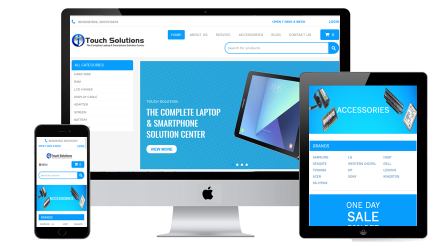 Our Responsive Web Design for your Ecommerce site makes it easy fit for any smart device. People can operate your website anytime, anywhere and it's extremely beneficial for your online business to generate better conversion. Act fast to make your business grow faster.